CHINATOWN — A platoon leader accused of misconduct in the hazing suicide of Pvt. Danny Chen, a Chinatown native, will avoid a trial in exchange for being dismissed from the Army. 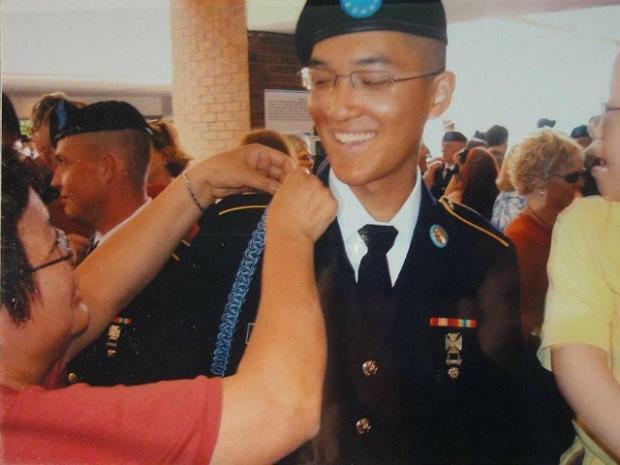 Lt. Daniel L. Schwartz was scheduled to be the last of eight soldiers to go on trial for hazing 19-year-old Chen in the weeks leading up to his death from a self-inflicted gunshot wound on Oct. 3, 2011 in Afghanistan. But now, rather than going on trial, Schwartz reached a deal with the Army allowing him to leave the service in return for having the charges against him dropped, according to a statement from the Army. Schwartz had been charged with dereliction of duty for "failing to foster a climate in which everyone is treated with dignity and respect," according to the charge sheet. He was also accused of failing to "ensure [Chen's] physical wellbeing." Chen suffered months of racially motivated abuse at the hands of his fellow soldiers in Afghanistan, and on the day of his death he was forced to crawl through gravel while other soldiers threw rocks at him, according to advocates who had been briefed by military officials. The deal brings an end to the series of trials that began in July at the Fort Bragg Army Base in North Carolina. The trials prompted criticism from Chen's supporters about how the Army deals with racism and bullying. "The military...did not deliver justice, and these trials expose the flaws in the military process and their need for reform," said Liz OuYang, president of the New York chapter of the Organization for Chinese Americans, at a press conference Tuesday. OuYang criticized the Army for giving Schwartz what she called a minimal punishment. "Schwartz won't serve one day in jail or one day of hard labor," she said. Chen's parents were consulted prior to the announcement that Schwartz would not face trial, but their views were not part of the decision, said Benjamin Abel, from the Fort Bragg public affairs office. Abel said it was up to the Army's Human Resource Command to decide whether Schwartz would receive a dishonorable discharge. All the other seven soldiers who stood trial received a reduction in rank. Five were given prison time including two who were sentenced to hard labor, and four were booted from the Army, according to advocates. OuYang, who along with others had propelled Chen's case into the national spotlight, had hoped all eight soldiers would receive a dishonorable discharge from the Army. Chen's parents also spoke out against the outcome of the trials at Tuesday's press conference. "Going to the trial made me feel even worse," Su Zhen Chen, Chen's mother, said through a translator. "Over and over again I had to hear about how my son was hazed and tortured." Su Zhen Chen said she would continue to fight for justice for her son and to ensure no other parents would have to lose their child the way that she did. Advocates are now pushing for a bill in Congress, introduced by Rep. Nydia Velazquez, which would require the Army to keep a database tracking hazing incidents. Raymond Dong, 20, who went to elementary and high school in Chinatown with Chen, remembered trying to dissuade him from joining the Army when Chen told Dong of his plan when the two were in 10th grade. "I thought it was a risk joining the Army," Dong said, "but [Chen's death] didn't happen in battle."